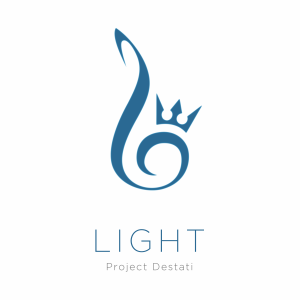 Project Destati: LIGHT is the first full-length album from the Project Destati team, a group who has been working on a series of arrange albums of music from the Kingdom Hearts series. I initially became somewhat worried knowing that LIGHT was releasing near the time of the HD ReMIX soundtracks, and I wondered whether their project would be able to stand alongside those releases. Thankfully, just like on their first EP Awakening which was released 358 days earlier, the team crafts some wonderful arrangements that easily stand up to and (at times surpass) the HD ReMIX tracks thanks to their inventiveness and willingness to tweak and combine tracks, even if the sound quality doesn’t always quite stand up to the HD remasters. The album opens with the first of a set of scene tracks, “Introduction: It Began With a Letter”. It starts off with a light rendition of “It Began With a Letter”, which seems just like a remaster of the track, but then shapes of “Dearly Beloved” appear. Eventually the track fully exposes “Dearly Beloved” and then surprisingly morphs into the rousing “Destati” while the former track remains present in the background. 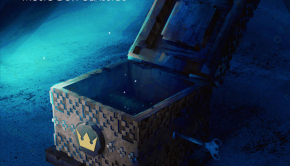 It works great as an introduction to the album, showcasing the different sounds available to the team and their arranging style for the album, which will be anything but predictable. Another scene track is Utada Hikaru’s theme song “Hikari”, arranged here as a piano duet. The arrangement is fairly elaborative, ranging from quieter, emotive sections to more bombastic and exciting segments. Unfortunately, this is one of the few times on the album that the sound doesn’t do the arrangements enough justice, as the pianos don’t deliver the dynamics or the lush sound called for by the track. It’s still listenable for the solid arrangement, but it’s noticeably flawed. After making several short cameos in most of the rest of the album, “Dearly Beloved” returns as a full track to close the album out. This version doesn’t quite live up to the greater, fully orchestrated versions of the song, but it’s perfectly serviceable and is a nice close to the album. 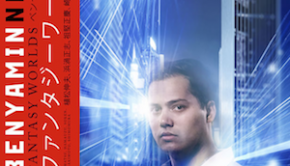 Faring much better are the main character themes that are present on the album. ”Sora” is far from my favourite track from the original soundtrack, but Project Destati does a fine job of making the track listenable by contrasting the rigid marching sections against tender, emotive phrases that show different sides of the character. Notable is the working in of “Roxas”, which is very subtle at first before making a more explicit display. “Kairi” has always had a great melody while suffering a bit from flawed instrumentation, and unfortunately the same is here. But as before, the team does a great job with the arrangement, showing new sides of Kairi in the theme such as her hopefulness along with her struggles and worries. The “Riku” arrangement does quite well, making the most out of a repetitive original by allowing the melody to flourish on an emotive cello while backing it with an increasingly epic arrangement. Then there is “Roxas/The Other Promise”, which admittedly can’t hope to surpass the fully orchestrated version from Shimomura’s drammatica, but still manages to hold its own thanks to the alternate accompaniment that is less straightforward than the original. The album naturally features a number of battle themes, and these for the most part are very good. 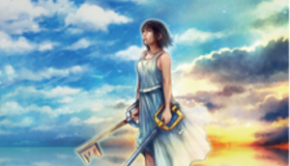 As was the case on Project Destati: Awakening, there are often neat cameos of motifs like that of “Dearly Beloved” woven throughout, tying the tracks together in the Kingdom Hearts universe. There is a good selection of tracks ranging from the bright and playful “Working Together” to the dark and epic “Rage Awakened” (the latter with Christopher Woo on violin!). These are not only good arrangements that retain the original atmospheres, but they are often even better than their short, looping originals thanks to their more complete structures and fuller atmospheres. “Working Together” is as plucky as ever, but gets a lot of elaboration with some improvisation on the melody and the occasional shift into darker territory. Some tracks like “Mkaukau?” and “Rage Awakened” (now even more furious) enhance their arrangements by having much more going on than the original, as well as some good work from solo instruments like the piano or violin. At times some of the punch from the original is lost like “Desire for All That is Lost”, mainly because the synthetic instruments don’t quite hold up, but these flaws can be overlooked to appreciate the fantastic arrangements. A number of field themes are also present, and they again encompass a wide variety with impressive arrangements, often featuring both the field and battle aspects of the given world. “Destiny Islands” for example begins with a fine rendition of the title track using some watery textures and bubbly pizzicato. Then along with some cameos of “Kairi” and “Riku” the track fits in not only a great transition to the battle theme “Bustin’ Up on the Beach”, but also a darker variation on the “Destiny Islands” melody within the battle segment. It’s a jam-packed arrangement, and is wildly successful for it. Other tracks like “Welcome to Wonderland”, “Waltz of the Damned”, and “Hollow Bastion” do the same and are similar successes, each also showcasing Shimomura’s ability to compose for many different settings. The arrangements also have some great focus on solo instruments. These re-workings feel much more varied and complete than their original counterparts, allowing each track to encompass the world and respective narrative. These tracks really push the album above their initial Awakening EP, and it all leaves me very to excited to hear where they’ll take things next. Project Destati: LIGHT is an excellent Kingdom Hearts arrangement album with incredible ideas used to successfully fuse tracks together with attention to detail throughout. The arrangements are often an improvement on Shimomura’s originals, having more going on and less constraint due to their non-looping nature. 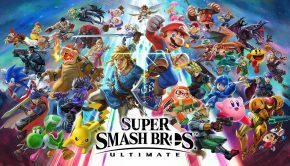 There is a great progression and development in the tracks where the originals are stagnant, yet the songs are still distinctly Shimomura and highlight the best elements of the original soundtracks. Although at times the sound quality of the synthetic instruments can let the arrangements down a bit, they are still better than the original OST counterparts and are either on par with or are just below the quality of the remasters. Any fan of Kingdom Hearts should support this effort, and stay tuned to hear about the next two albums promised by the team. Posted on April 7, 2015 by Christopher Huynh. Last modified on April 10, 2015.